When Amy Klein announced her departure from Titus Andronicus in late 2011, it came as a bit of surprise to those traveling in circles that, well, pay attention to the arrivals and departures of guitar players to and from marginally well-known indie rock bands. In those circles, and in the context of independent rock in today’s music industry, Titus is a pretty successful band. They have critical acclaim, a rabid and devoted fan base, played Jimmy Fallon and booked high-profile opening slots for bands like Okkervil River, Bright Eyes and The Pogues. In other words, it seemed like a pretty good gig. But for one reason or another, she decided to leave and give her two-piece riot grrrl-inspired outfit Hilly Eye a little more attention. 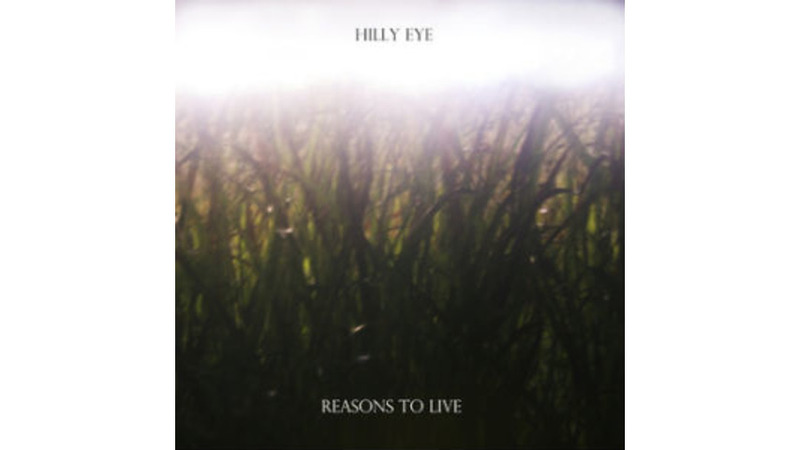 Their debut album, Reason To Live, a foray into psychedelic punk minimalism, yields uneven but interesting results. Klein and drummer Catherine Tung channel bands like Bikini Kill and Sleater-Kinney as they crank out sparse, sludgy guitar riffs over primitive floor toms and cymbal crashes. When it works best, as it does when Klein lays delicate vocals over the downright menacing middle riff of “American Rail,” the duo elegantly tread the line between brash and refined. When it misses the mark, as on the lumbering mid-temp fuzz of the five-minute “Amnesia,” it can border on boring. But there is enough good stuff in between those bench markers that make the whole thing worthwhile. Klein is a gifted guitar player with the ability to craft and intertwine simple, thoughtful riffs that range from the melodic space rock of “Double Dutch” to the playful garage jangle of “January.” As a vocalist she mostly opts for a heavily reverbed, morose delivery, occasionally breaking out to yelp like Kathleen Hanna on songs like “Jersey City.” But while they are more often than not effective, even chilling at times, the vocals aren’t what are going to draw in listeners or keep them engaged. What is, however, is Klein’s ability to bring musicality and a melodic feel to music that in lesser hands might otherwise feel overly primitive and inaccessible. At 42 minutes, Reasons begins to drag a bit, and it may not bring Klein the attention she enjoyed with her former band, but it is a sonically captivating and promising first effort that reveals itself a little more with each listen.